In the Run dialog box, type "control userpasswords2" and click OK, without the quotation marks. 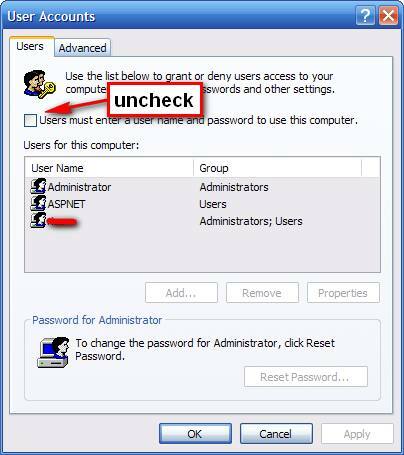 Uncheck Users Must Enter A User Name And Password To Use This Computer and click OK. In the Automatically Log On dialog box that appears, type your username and password, confirm the password, and click OK.
Guys look at Logonexpert autologon tool that encrypts password and can lock PC after autologon. But, Logonexpert is not free.